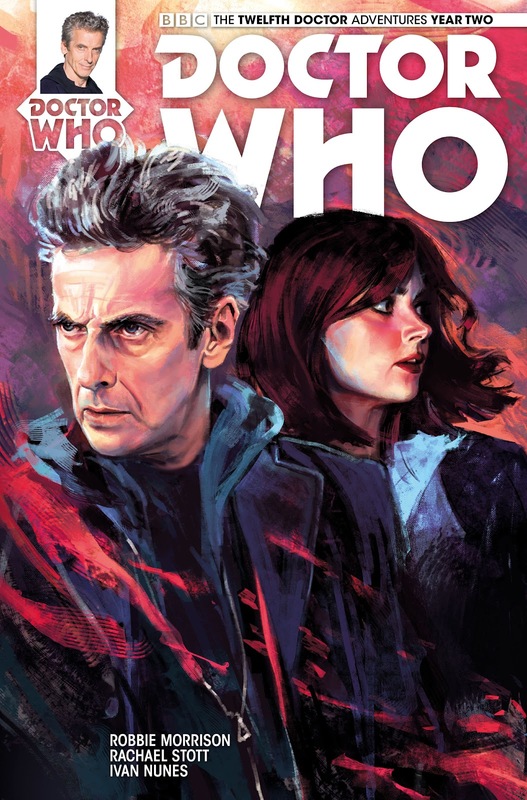 DOCTOR WHO: THE TWELFTH DOCTOR YEAR TWO #1 from Titan Comics. The story is by Robbie Morrison, with art by Rachel Stott, colors by Ivan Nunes, and lettering by Richard Starkings and Comicraft’s Jimmy Betancourt. The Doctor is back (not that he was gone long)! Morrison really captures the spirit of our heroes. I can definitely hear Capaldi and Coleman’s voices as I read the dialogue. To me, that’s just as important as the story itself when dealing with a comic based off another medium. No Whovian should miss this book, especially with this capable creative team working on it. DOCTOR WHO: THE TWELFTH DOCTOR YEAR TWO #1 is in stores now, or available for ordering at www.titan-comics.com.